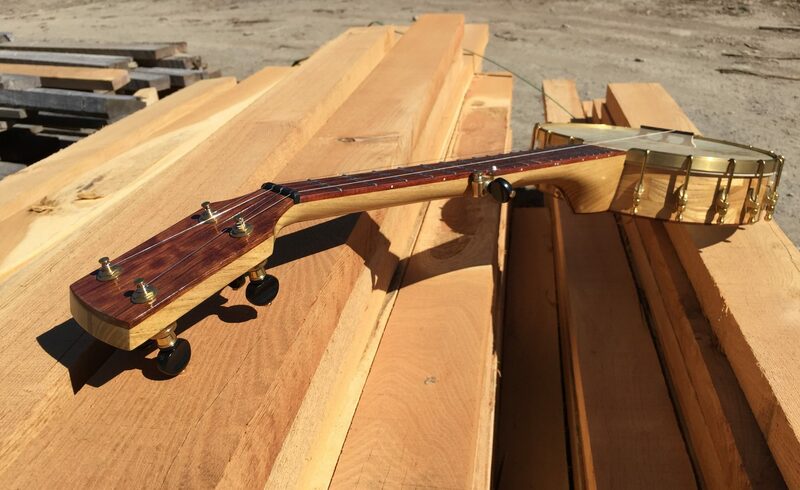 This banjo has a block rim of curly maple. Rim cap, upper rim layer, and neck are black walnut. e Dobson style tone ring. Fingerboard is oiled Wenge. Headstock laminate and heelcap are figured Black Walnut with an headstock inlay of Padauk and mother of pearl. Instrument is finished with a penetrating oil finish.